Still getting breakouts? Your skin is unbalanced and making too much oil. 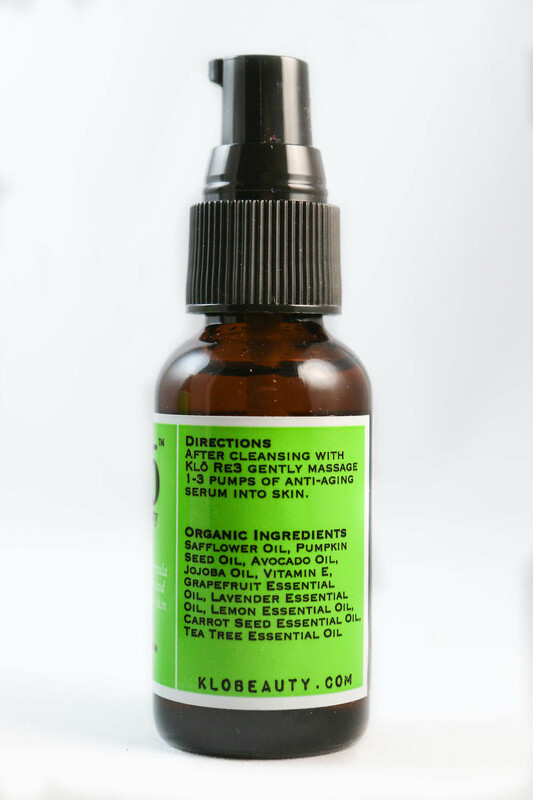 It’s time to get on board with oil cleansing because it is made for you. Unclog pores and get rid of breakouts once and for all with our magical oil cleanser. This method will no doubt change the way you view your skin and skin care routine forever. 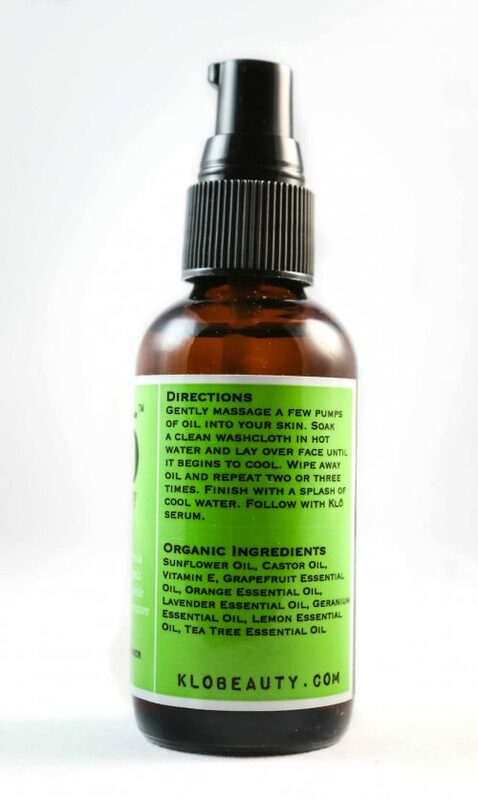 Directions: Massage about 8-10 pumps of oil into your skin. Soak a clean washcloth in hot water and lay over face until it begins to cool. Wipe away oil and repeat two-three times. Finish with a splash of cool water. Follow with serum. Directions: Shake that bottle! After oil cleansing with RE3, gently massage a few pumps of anti-aging serum into skin. Smile. Changed my skin and cured my acne! I have used EVERYTHING on my acne prone oily skin and this duo is the last skin care product I will buy. My skin is amazing, my acne is gone, my eye bags are gone, my skin tone is even and I don’t need “oil blotters”. I have been using the Klo Duo (normal to oily) for 3 months now on a nearly daily basis. I had itchy eyelids and eyebrow skin on a regular basis for 7 months prior to using the Klo Duo. I have oily skin so I did not assume that my skin was dry. 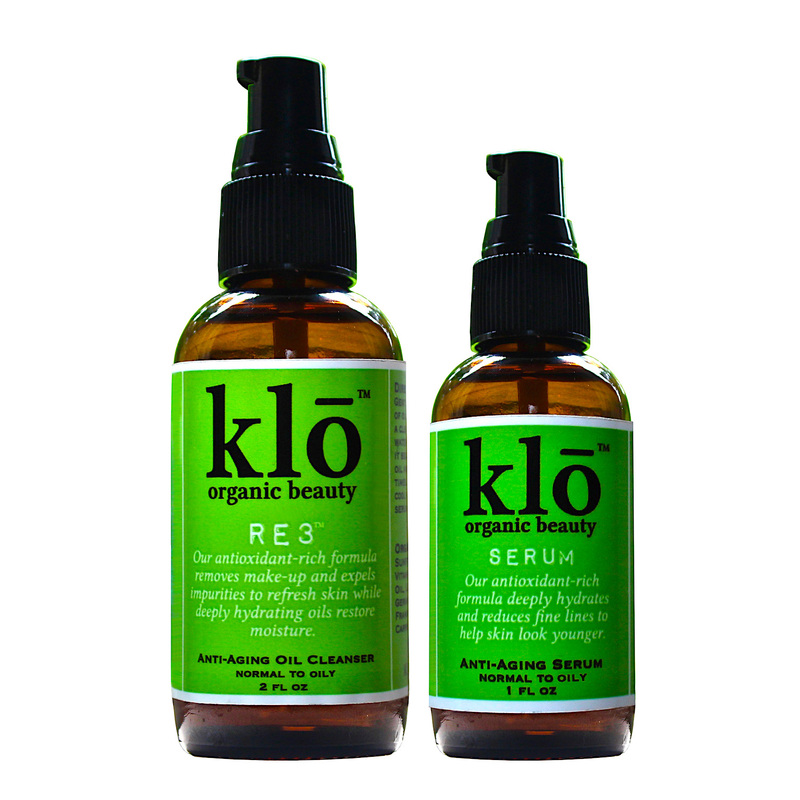 Ever since starting the Klo Duo regimen, my eyelids and eyebrow skin are no longer itchy and my skin feels better than ever. I also suffer from rosacea and the redness has lightened slightly from 3 months of using these products. The process of washing with the RE3 is easy. I use it in the shower every morning. As soon as I get out of the shower, I put the serum on my face. I use 8 pumps of RE3 and 3 pumps of serum. I was nervous about the scent of the products since I typically use only unscented items and don’t typically care for the smell of essential oils, but surprisingly, I cannot smell a strong scent from these products. Buy it, you won’t regret trying out this product. This stuff is truly amazing. I have been dealing with adult acne for some time tried everything! Antibiotics were making me sick, the harsh RX lotions and potions were making my cystic acne even worse. Literally started using this a few months ago and my acne cleared up over night. My skin feels amazing! Using it for weeks now! I noticed within 2-3 weeks I no longer needed an extra moisturizer. My skin felt balanced! I am beyond excited to have started to use the RE3 cleanser and serum duo! My skin has cleared up from acne, I love that the cleanser removes even mascara, the serum is not only moisturizing my face but I no longer need a separate eye cream AND it is a great primer in the AM! All this packed into 2 highly concentrated and beneficial products! I have to say at 47 years old I am loving the new glow I have achieved with this fabulous duo! Thank you Klo! Customer for over 1.5 years! Amazing! I found out about Klo from Happy Healthy Mama blog. I’ve been using the normal/oily cleanser and serum for about 1.5 years and my skin has never looked better! I’m 39 and have struggled with acne my whole life and this has done wonders for balancing my skin. Now, I RARELY have a zit! My hubby asked me for my “zit cream” the other day and I told him I don’t have it anymore because I don’t need it! I use the cleanser at night to remove makeup followed by serum and then in the am, I rinse my face and wipe with a warm wash cloth in the shower and then a pump of the serum and I’m good to go!! I have been using the duo for oily/acne prone skin now for 6 months and love it. My skin is more even and I love the fact that I don’t need more than the two steps. So I’m a first time user and I’m completely impressed. I started on 2/24 and I’ve seen my skins appearance become so much more loved. It looks hydrated. I wake up less red faced (blotchy). I’m in love. Thank you so very much. Now it’s the only skincare I’m using and I’m not needing as much concealer (hope one day I won’t need it at all) to even out my skin tone.